I tend to shy away from groupthink oriented idealogies, but ocassionally I am stricken by a concept that is worth subscribing to. The Hacker Glider is one such concept. The Glider (shown above) was created by Eric S. Raymond, and is the symbol of the hacker culture. 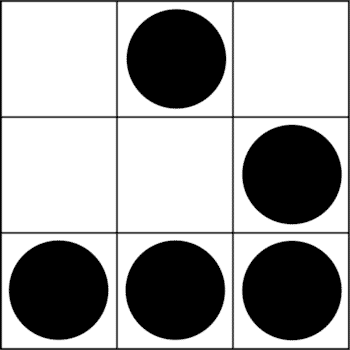 The symbol comes from a project called The Game Of Life, and its history is quite interesting. In case you’re wondering, this isn’t the hacker you hear about in the news. A true hacker, as described by Eric himself is a creative problem solver who gives back to the community and supports ideals such as freedom, efficient communication, and a strong sense of community. As he points out, there are many types of hackers; they can be found in music, mathematics, and even art. Most often, however, the term hacker is associated with computers. hack-er1 n. Informal An intelligent, creative, and open-minded individual who enjoys problem-solving, learning, and the sharing of knowledge above all else. At any rate, if one or both of the definitions resonate with you, take the time to purchase a piece of merchandise (the money goes to the EFF), and find a way to display the logo. Also, be prepared to explain the concept behind it and why the connotations most people link to the word are not accurate. Alas, we probably won’t make a difference, but as Ghandi pointed out — that’s no reason to not make the effort.